Liza Pulman Sings Streisand tickets are now on sale at London’s Lyric Theatre. Following a successful nationwide tour of Liza Pulman Sings Hollywood, the critically acclaimed singer and actress is back to pay homage to music legend Barbra Streisand. Liza Pulman Sings Streisand hits the Lyric Theatre next spring for a limited engagement. Former member of cabaret group Fascinating Aida Liza Pulman is set to dominate the West End next spring with her powerhouse vocals and captivating stage presence. Her new smash-hit show has received a fleet of five-star reviews, having packed houses all across the UK while boasting two sell-out performances at the Wilton’s Music Hall in London. Sit back, relax and prepare to be amazed by Liza Pulman’s exceptional vocal talent and masterful storytelling as she interprets the music and life story of one of the world’s most renowned singers of all time, Barbra Streisand of A Star Is Born. With countless sold-out venues under its belt and only four performances scheduled for London next year, tickets to Liza Pulman Sings Streisand at the Lyric Theatre are expected to sell out fast! If you are a die-hard fan of Barbra Streisand, then don’t skip out on this captivating tribute by Liza Pulman. 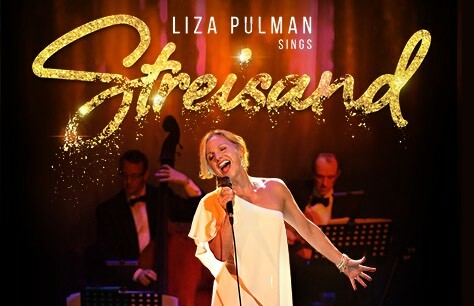 Book your tickets to Liza Pulman Sings Streisand now while stocks last!